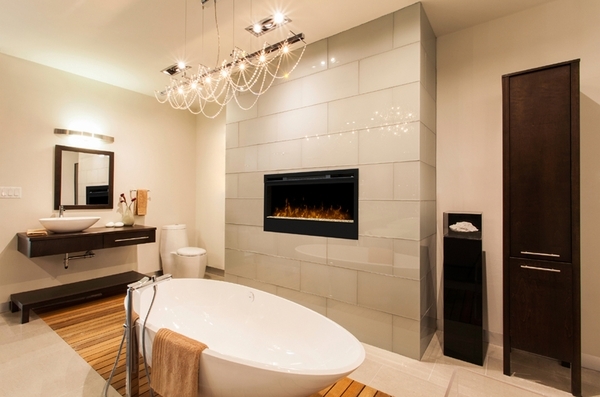 If you want to add the beauty and warmth of a fireplace to your home without the cost of construction or the logistical problems of installing a traditional fireplace in your current residence, a wall mount fireplace offers the versatility you need. 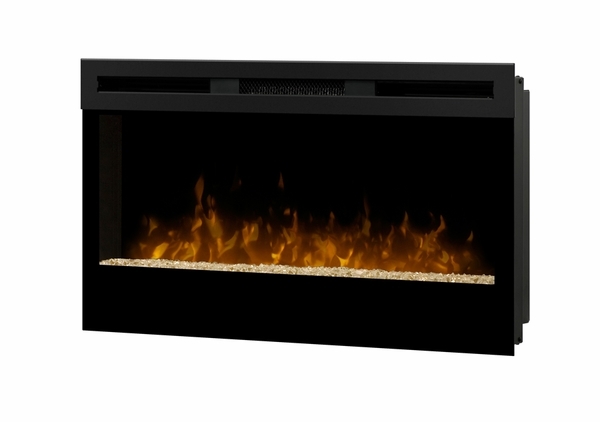 This 34-inch Dimplex Wickson Electric Wall Mount Fireplace will function beautifully in any room and can be mounted on the wall or inserted into an existing recess. In addition to being economically priced, this model offers the beauty of realistic flames floating on a bed of embers made of glass. Install easily by plugging the unit into a 120-volt outlet. This does not have a thermostat. Does this have a blower motor to help in heating the room? Yes, this unit comes with a blower. Can I change the glass color in this fireplace? Unfortunately, no. The glass color can not be changed on this unit. What are the dimensions of this fireplace? This model measures 19.5" high, 34.25" wide, and 7" deep. For greater detailed dimensions, please see the sales brochure here. love it just wish it could have been recessed in my walls. It looks beautiful and realistic!